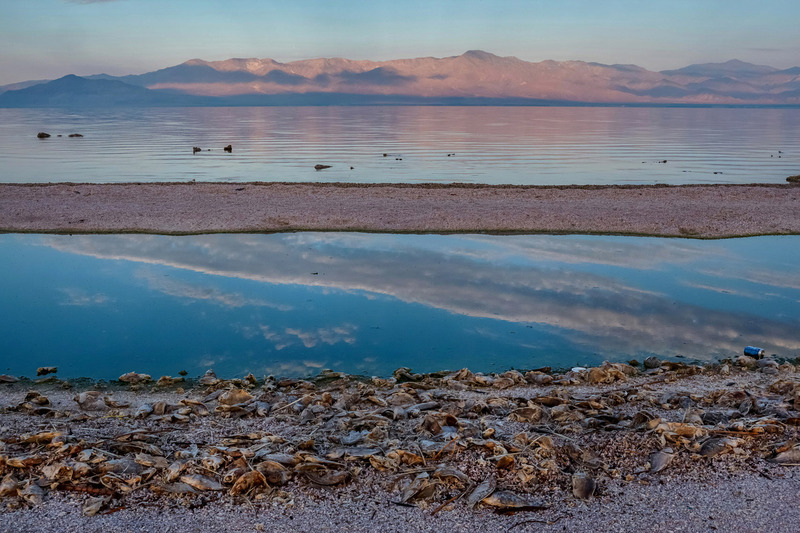 The Salton Sea, on the San Andreas Fault south of Palm Springs, was part of a prehistoric inland sea that vanished into the desert. It came back to life by accident, over one hundred years ago, when massive floods breached a levee on the Colorado River filling the dry lake bed. Now thousands of dead fish line the receding shores of the sea, killed off by a combination of low oxygen levels, pollutants and algae blooms.